The first of Gabin's outing as Maigret, and the strongest of the trio -- certainly more distinctive than Gilles Grangier's routine contribution, which used Gabin well but did little more. Delannoy, by contrast, creates a strong sense of atmosphere, particularly emphasizing the claustrophobia of the corner of Paris being terrorized by the events of the film. 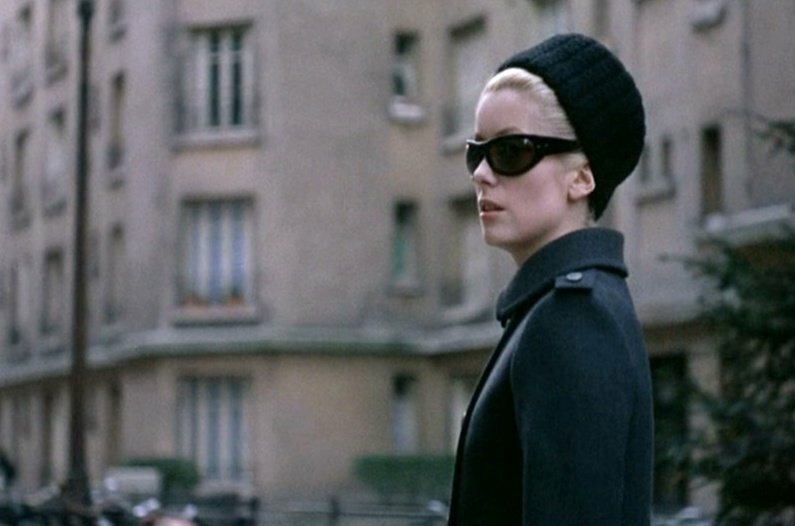 More surprising is the mobility of his camera, especially in the early stages of the film -- elegant movements that create neat moments of visual shorthand, while also, on occasion, underpinning the sense of menace felt by the characters. 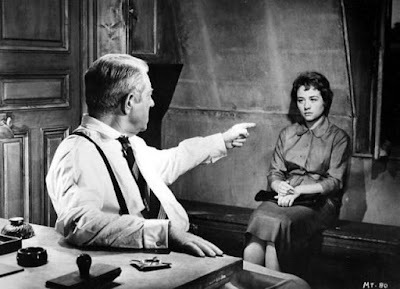 The film's a fine example of Gabin's ability to seamlessly play both sides of the law in this period: there's not a great deal of difference between his Maigret and, say, Max from Touchez pas au grisbi, with both characters elegant, methodical, and willing to pause to savour a decent sandwich. As is rather common with late films, Arletty's final cinematic performance was not among her most glorious, with a pretty thin supporting role in a routine Fernandel vehicle. 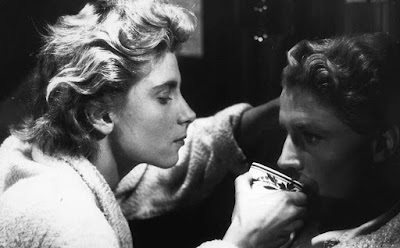 It was one of four films The Great White Teeth of French cinema released that year -- and only one, La Cuisine au beurre, proved memorable. Indeed, Fernandel himself was on the wane, relatively speaking, soon to be eclipsed in the popularity stakes by late-bloomer Louis de Funès and His Rubber Face, along with longtime, less-rubbery, Bourvil -- and the contrast between the modest, black and white Voyage à Biarritz and films like Le Gendarme de St Tropez or Le Corniaud, with their impressive colour production values, seems to underline the changing of the guard. 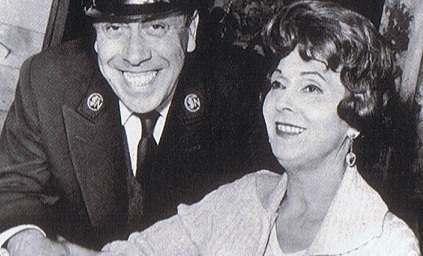 By the time of filming on Le Voyage à Biarritz, Arletty could barely see -- her vision had been in decline for some time, and she had suffered an eyecare accident of some kind earlier in the year, switching eyedrops intended for the left eye into the right and vice versa, which sounds vaguely comical if the outcome hadn't been so terrible. Given her limitations, many of her scenes have her sitting or standing in one place, or being gently escorted by her fellow cast members. 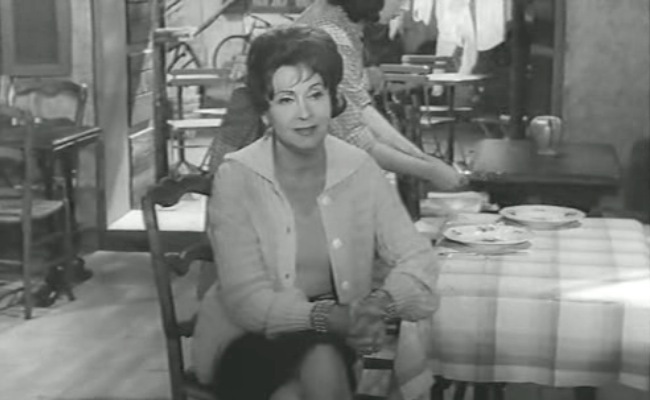 Indeed, there's some suggestion that she was essentially hired as a kind of favour by old friends; she and Fernandel appeared together on stage and screen in Fric-Frac in the 1930s, while Gilles Grangier, another child of the Parisian streets, had directed her in the 1952 vehicle L'Amour Madame, in which she plays a version of herself. She relied on such gestures of kindness for most of her postwar life, dying in the most modest of circumstances in 1992. When the actress first appears here, you could be forgiven for not even realizing it was Arletty, so little does her character have to do. It's all a far cry from her indelible early performances, stealing scenes, indeed entire films, from more established performers in the late 1930s. It's hard to believe now, but Hôtel du Nord, Arletty's real arrival on the scene, was designed around Annabella, a popular star of the time. 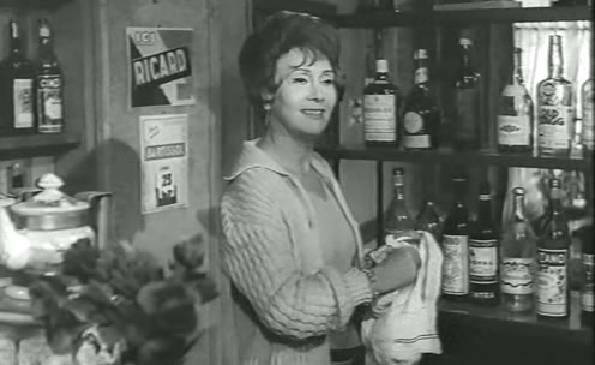 Arletty waltzes in, wipes the floor with precious Annabella and, not incidentally, creates an entirely new type of female lead in French film (Louis Jouvet isn't too shabby either -- you ache for them to have worked together again). It was in that film that Arletty uttered what is probably the single most famous word in French cinema, atmosphère. A little of that quality wouldn't go amiss in her final screen appearance: the location shooting in Fréjus and Toulon can't hold a candle to the magic Marcel Carné whipped up on his sets. Grangier wasn't in the same league as Carné, of course, and while he's able to construct a fairly solid narrative, even by his standards this is a pretty thin affair. Grangier's collaborations with Jean Gabin are often much stronger; while it's often been suggested that Gabin dominated his directors as his career advanced, he may also have extracted better films from them on occasion. But what of Arletty's final work, then? Fernandel stars as the master of a small train station in southern France, with a son who's an engineer in London. Arletty plays Fernande, the owner/operator of the local café, and with her mischievous tone and mildly exotic background, the locals are quick to believe Fernande and Fernandel might be having an affair, perhaps centered on their shared syllables. Grangier does a nice job of conveying the lightning-speed spread of gossip among the townsfolk, and there's a definite glint in the Arlettian eye when she gets a sniff of the townsfolk's silliness, the one moment when you see the youthful zest emerge from under the accretion of the years. Even the old voice, that most beguiling of instruments, gets a dusting off, as she rolls a couple of Michel Audiard pearls around on the tongue. Sadly, once that segment of the plot is resolved, Arletty barely gets a look in -- the film whizzes off to London for a few quick shots of Fernandel in front of the tourist sights, and some awkward assaults on the English language. The cross-Channel comedy is supposed to stem from the fact that Fernandel, who has won an all-expenses-paid trip as part of a promotion, wants to see his son but can't give his publicity-minded handlers the slip. It's an awkward joke spun out far too long, and the film is more assured, and more funny, on French soil. The resolution -- spurred by a kind of train ex machina -- seems to have come in from an entirely different film, though, suddenly pouring a dose of cold water on the earlier hijinks, even if Fernandel's horselike features are put to good use in several long-faced scenes that precede the inevitable all's-well finale. There's no fanfare to play Arletty out, with Fernandel and his much-used smile taking us through the final frames. The actress did a little voiceover work in the following decades, but largely retreated from the world before blazing through the public consciousness once again in the aftermath of her death. I happened to be in France when she died, and all of the newspapers and magazines rushed tributes into press, sometimes dedicating entire issues to Arletty's place in French cinematic and social history. In death, at least, her postwar rehabilitation in the eyes of the public was complete, and many people assembled at the real Hôtel du Nord, a place that Carné had never sullied with his camera or his star, who was perhaps the one true, glorious discovery of his career. 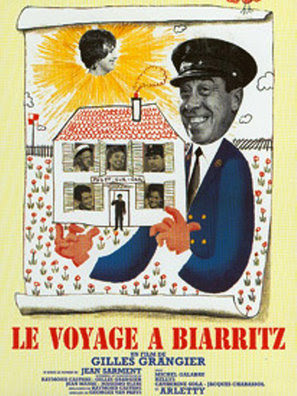 Incidentally, one person's late film is almost inevitably someone else's early-career gig: Anna Massey appears here in her first big-screen appearance after Peeping Tom, about as extreme a contrast as could be imagined, while Michel Galabru, about to hit the big time as a de Funès sidekick, has one of his early roles of substance after a decade of bit-part graft. 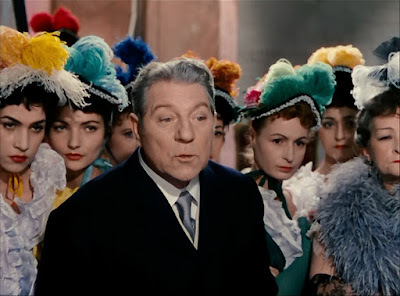 Renoir reunites with Gabin after a fifteen-year gap, with the actor in a classic later-period Gabin role, roguish yet charming, and almost startling in the rich colours that Renoir employs. Though French in its frame of reference -- the songs, the locations -- there's an echo of classic Hollywood putting-on-a-show spectaculars, albeit with an air of melancholy that's entirely specific to Renoir's film (the wonderful scene where Gabin relaxes backstage, satisfied that things have come together but fully aware the public has no need to see him). A Chips Rafferty pic that also marked Rod Taylor's debut, and it's not hard to spot the nascent star quality. Very formulaic, and at times very wooden, but with a distinctive location in the Torres Straits, and some excellent marine photography. It was apparently a big hit in its home country back in the day.